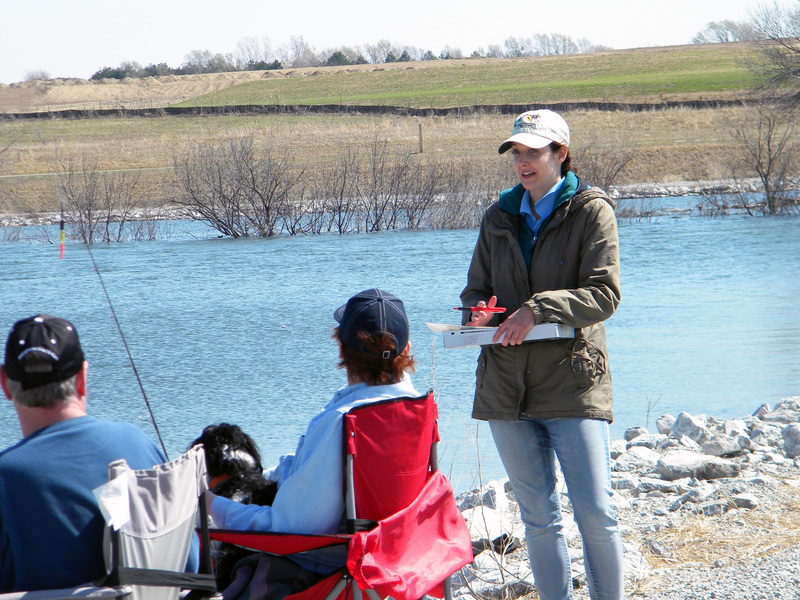 Go fishing in the Omaha metro area over the next six months, and you may just bump into a University of Nebraska-Lincoln researcher carrying a pen and a clipboard who wants to ask you about your fishing experience. Researchers with the Nebraska Cooperative Fish and Wildlife Research Unit, based at the School of Natural Resources, are surveying anglers at Standing Bear, Prairie Queen, Lake Halleck, and Schwer Pond waterbodies between April 1 and Oct. 31. The ultimate goal is to understand how anglers influence fish populations and how those fish populations respond to fishing. In addition to estimating catch rates based on angler responses, the researchers expect to determine total fishing pressure at each lake. Over the course of the six months, they also will count at random times the number of anglers on all Omaha public metropolitan lakes to establish use rates. The information will be used to help Nebraska Game and Parks Commission, which is funding the research, make management decisions about Nebraska’s fisheries. Previous research on angler behavior has primarily focused on the state’s largest waterbodies, such as at Lake McConaughy, but researchers expect anglers fishing at small urban waterbodies have very different experiences and potentially different motivations for why they fish. The surveys are expected to take anglers about three minutes to complete. After collection, the researchers will analyze the results and distill the information for further distribution. To keep up with the project, or to learn more, visit FishHunt.unl.edu.